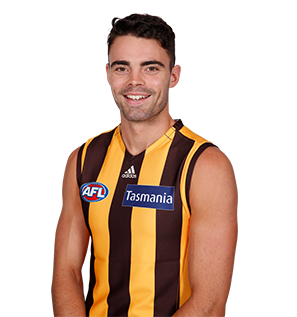 Hawthorn have named Conor Nash to make his debut for Hawthorn against Geelong at the MCG on Saturday afternoon (Melbourne time). The 197cm Irish rookie from County Meath has played two seasons (25 games) with Box Hill and has had an Aussie rules education in a number of positions in defence, forward and on the wing in that time. On Nash’s background before coming to Australia he said “it’s an exciting story, he’s from County Meath in Ireland. He played a lot of sport as a young fella, particularly rugby. We’re excited for him and his family, and we’re excited for our footy club. Nash’s inclusion comes in place of Brendan Whitecross who has been ill this week. The Hawks are currently 5th on the AFL ladder but will be desperate to beat the Cats to hold their place in the top 8 in order to play in this year’s finals. Interestingly both of Hawthorn’s Irish recruits in Nash and Conor Glass came from Hawthorn’s recruiting network and not from the AFL’s annual European Combines. Hawthorn identified Nash prior to him reaching draft age in 2015 and brought the young sporting talent to Australia during their preseason prior to drafting him at the end of 2016.